Subaru Starts Production of the All-New Ascent Three-Row SUV in the U.S.
Tokyo, May 8, 2018 – Subaru Corporation has started production of the Subaru Ascent in its U.S. plant, Subaru of Indiana Automotive Inc. (SIA). On May 7, 2018, the first American-made Ascent rolled off the assembly line and SIA held a line-off ceremony with attendance of President Eiji Ogino and Associates. 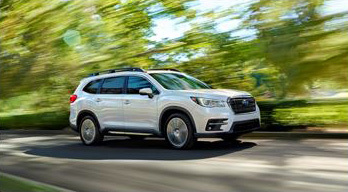 The Ascent is Subaru’s all-new three-row SUV that the company developed exclusively for the North American market with the aim of its sustainable growth in the region. The vehicle, which made its world debut at the Los Angeles Auto Show in November 2017, is the largest Subaru ever built and is designed especially for active families. The all-new 2019 Subaru Ascent will be available for sale in the U.S. and Canada in mid-2018. 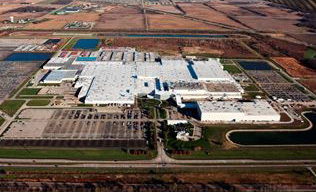 In the U.S., orders for the vehicle have already surpassed 4,500 units ahead of its launch in early summer.